About year ago now I was invited to my first tweetchat. I had no idea what one was or what it was going to be like. I am thankful for that invite from Bridget Willard because it’s a FANTASTIC resource! I have learned so much from participating in a tweetchat. I have even co-hosted one by providing the topic and questions. It’s a great way to build relationships and learn from one another. Carole Stephen from Your Social Media Works co-hosts tweetchat DigiBlogChat. It’s a weekly tweetchat that brings people together to discuss in real time a variety of online topics for businesses. Carol was gracious enough to take on my q & a session about tweetchats. 1.) Tell us a little bit about yourself? 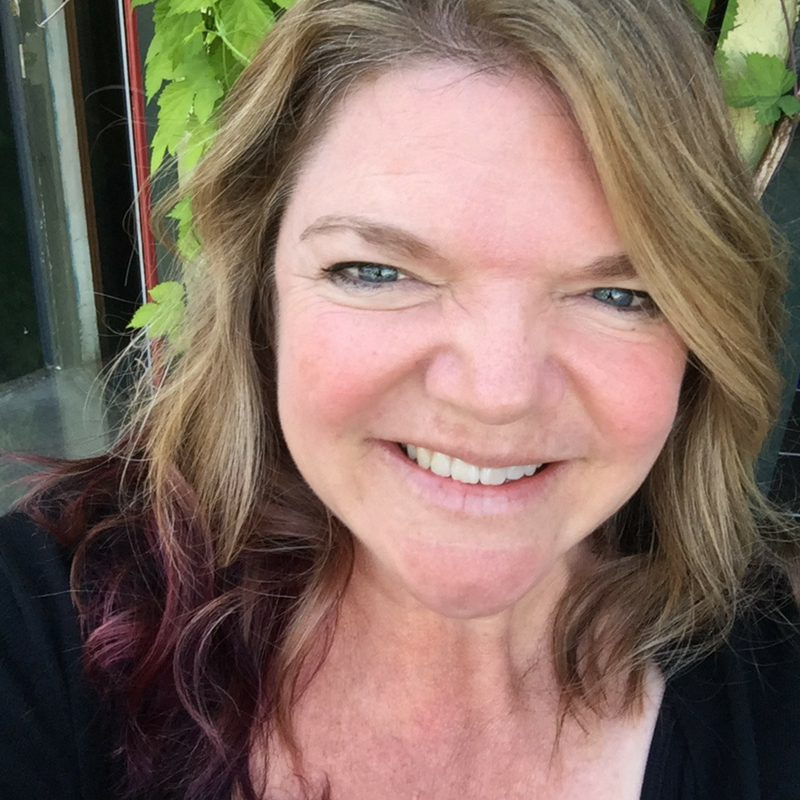 I’m a social media manager, blogger, and speaker working with small-to-medium companies. Often I’m the “ghost” working behind the scenes who gets companies noticed by others. 2.) What is a tweetchat? A tweetchat is an event on Twitter, usually at a specified time, around a topic, usually moderated and organized by a hashtag. Many of them recur, like #digiblogchat does, on a regular basis. Some are once a week, some are monthly. 3.) How do you find tweetchats to join? You can search on google for tweetchats. You could also search on twitter for a good one to join. 4.) What advice would you give to someone who participates in a tweetchat for the first time? Log into Twitter a little before the chat to clear out and reply to anyone before the chat. Introduce yourself to others on the chat. Use something like tchat.io, twubs, or tweetchat (dot com) to help you organize. The first chat you’re on may be super busy, so expect that. Sometimes people just watch a chat the first time they are on. 5.) What goes into moderating a tweetchat? Choosing a topic beforehand, creating questions, then lots of promotion happens behind the scenes. Also, I create lists of the people on the chat, and send reminders the day before the chat. During the chat, my main job is to welcome people, and follow newbies and make them feel welcome. There are a lot of small details to take care of. 6.) What advice would you give someone who wants to start a tweetchat? Choose a good hashtag and check it out before you use it. Have a core group of friends who’ll tweet into the chat so you can get it off the ground. Mine has been going for years now, so people mostly know each other. My partner (Larry) helps out with promotion, images, and fills in when I’m on vacation, too. 7.) What tools do you recommend for running a tweetchat? I’ve used tweetchat, Hootsuite, and my favorite at the moment is tchat.io because it doesn’t break down. I schedule about 50 reminder tweets using HootSuite. I also check the reach on the chat using tweetreach. I keep a list of questions and topics in a Google doc for use during the chat. 8.) What’s the history of DigiBlogChat? Oh, boy. It goes back to another chat I was running called #BigDataChat. I met a bunch of people there and then that ended because the company I was working with didn’t want to support it any longer. But we had a community. So someone on the chat (Larry aka @lazblazter) suggested we start our own chat. And #digiblogchat was born. 9.) What is your favorite part of running DigiBlogChat? There are so many things I love. I love it when people suggest new topics that I had never thought of. And sometimes one tweet will travel a long way away. For awhile, we had a core of people tweeting from Africa. The international aspect is so interesting—learning from people in other countries who have a different point of view is wonderful. The side conversations make me laugh sometimes. People have become friends as a result of the chat, too. So business goes on behind the scenes. And friendships have started as well. 10.) What are your challenges running DigiBlogChat? Occasionally, people don’t come through with questions or topics, but we always have backup topics. I try to be a week or two ahead on the topics, but I’m human and it doesn’t always happen. 11.) Are there other tweetchats you would recommend? If so, what are they? I’m on #ConstChat on behalf of a client some times. It’s Thursday mornings at 9 a.m. #TwitterSmart is a good one, with a lot of traffic. The bigger ones can be overwhelming at times. 12.) Anything else you would like to add? If you decide to start your own chat, you’re going to have to do way more promotion than you at first realize. It takes me about 3 hours in total. Creating the questions, sending reminders, and then running the chat itself. The one hour of the chat is the most fun part! If you’re starting a new chat, you might want to poll your followers to see if they’d be interested before investing all the time and effort in a chat. I feel blessed to have such a fantastic core group of followers on the chat. Now that you know what a tweetchat is come and join us! 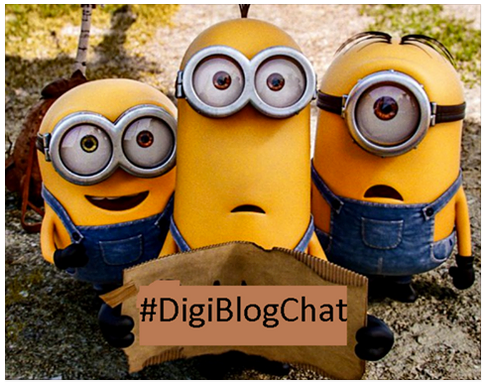 You will find us every Tuesday at 1pm PT online using the hashtag #DigiBlogChat! We’d love to see you there!